The New Orleans Pelicans have executed a second trade before today’s NBA deadline, shipping forward Nikola Mirotic to the Milwaukee Bucks. The trade of the 6-foot-10 stretch power forward brings back Stanley Johnson and former New Orleans big man Jason Smith plus four second round picks, according to ESPN’s Adrian Wojnarowski. Mirotic was acquired last year mid-season and helped the Pelicans reach the playoffs and win a first-round series. 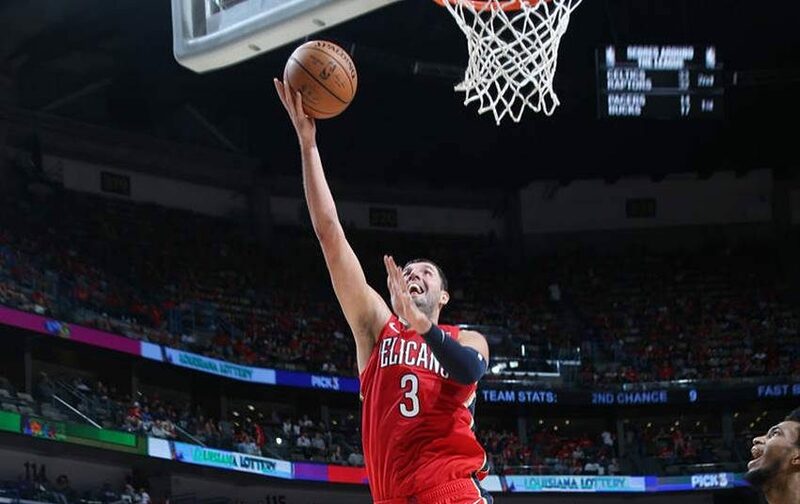 With the roster reshaping just underway in the wake of the trade request by Anthony Davis, the soon-to-be 28-year old veteran in the final year of his contract has been sent to the team with the league’s top record for assets. Johnson, a 6-foot-7 former lottery pick out of Arizona, had just been traded to Milwaukee from the Detroit Pistons for center Thon Maker. In fact, the 22-year old never played a game for Milwaukee. Johnson has averaged 7.1 points and 3.5 rebounds in his career. The 32-year-old Smith is averaging 3.2 points and 2.7 rebounds this season. The 11-year pro played for New Orleans from 2010 to 2014. Less than 24 hours ago, the Pelicans sent forward Wes Johnson to the Wizards for forward Markieff Morris.